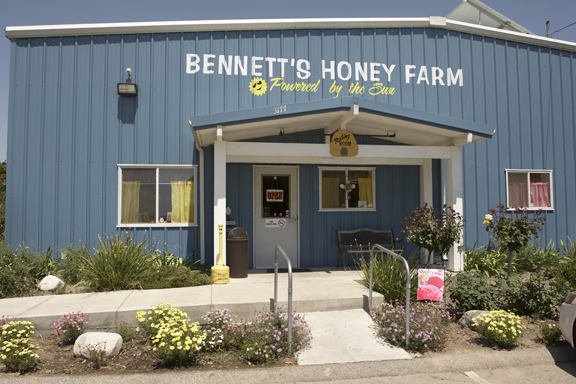 Making great organic honey just right outside of the Santa Clarita Valley in the Ventura County is Bennett’s Honey Farm, who are always dedicated to providing local residents with the best organic honey made in their 100% green solar powered facilities. Taking time to create the best product possible Bennett’s Honey Farm has kosher and organic certificates and use a unique “gravity straining” process to help the honey keep its natural perfect components. Creating a unique selection of products that use nearly all parts of the bee hives to come up with tasty creations and great health supplements. There are many products that can be created out of a single beehive, and Bennett’s Honey Farm make sure to bring as many of them as possible to the public, from the tasty ones to the healthy ones. Located just a short drive towards the coast from the Santa Clarita Valley, Bennett’s Honey Farm is a great way to spend a day learning about the interesting dynamics of a beehive while also tasting some delicious honey and hanging out in the SoCal sun. At the farm you can taste all kinds of different products that can be made using the honeycomb and bee hive, including a bee resin called propolis that carries with it many health benefits. Bennett’s has even created lotions and lip balms using their organic honey products from the bees. Bennett’s Honey Farm is one of the best sources for organic honey and beehive products in the Ventura County and Santa Clarita Valley areas, and you can sample and experience all of these products first hand for yourself. Not only offering a fun and informative experience for visitors, and a large selection of tasty and healthy products made from the amazing bees, but they also are able to work with smaller beekeepers to help them manufacture and package their own honey. They are able to extract the honey from the hives and bottle and package them and, if provided, they can even use your own custom labels and bottles. Bennett’s Honey Farm is a great place for the entire family and offers a wide range of products made using the hives and honey combs, as well as helping smaller beekeepers to extract and package their own honey.